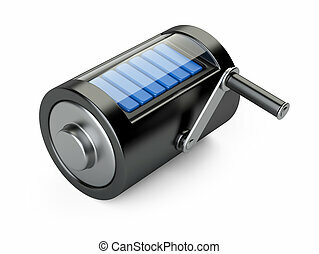 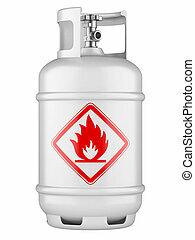 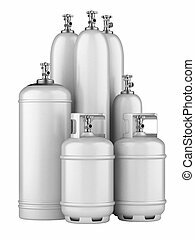 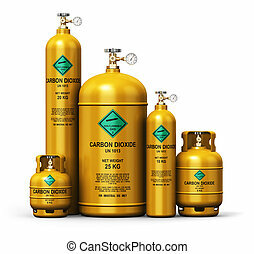 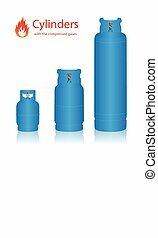 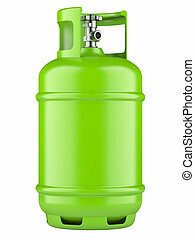 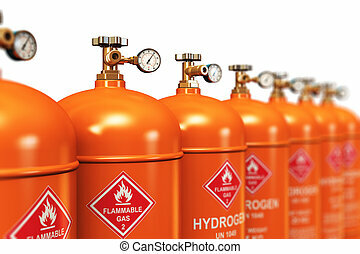 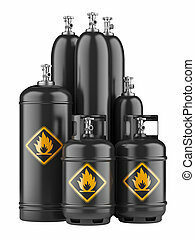 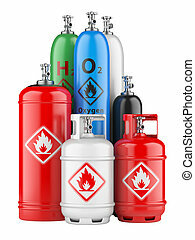 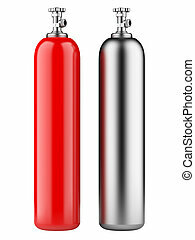 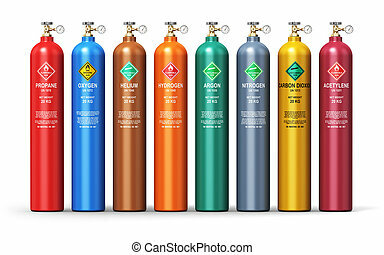 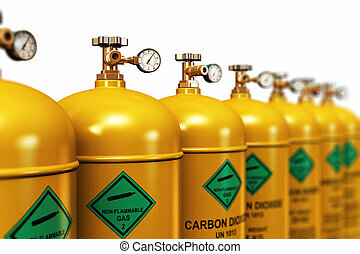 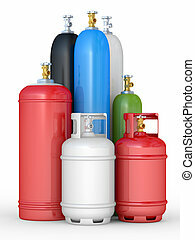 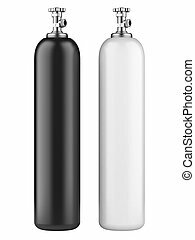 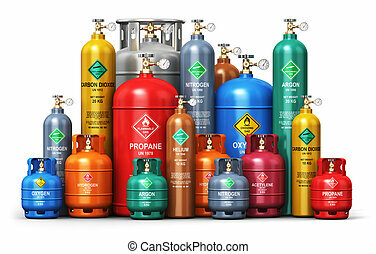 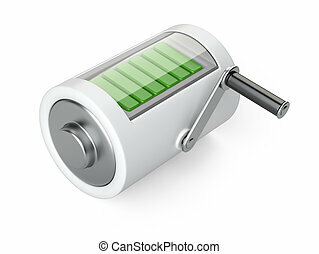 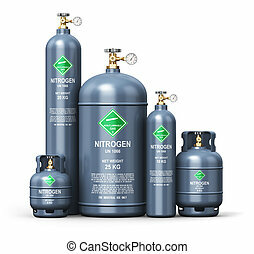 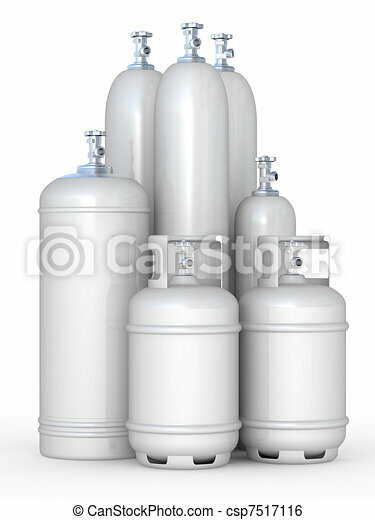 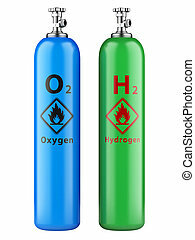 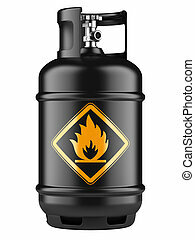 Cylinders with the compressed gases on a white background. 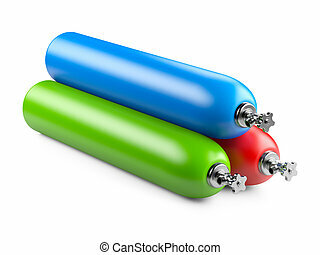 Balloons, metallic cylinders with helium. 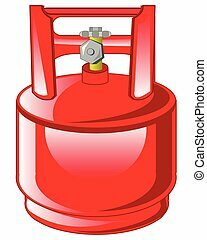 A picture symbolizing the inflation of the balloons liquefied gas-helium. 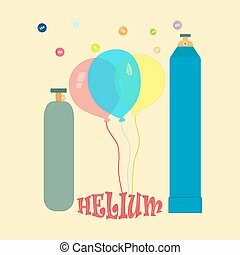 The Balloon with gas on white background is insulated.